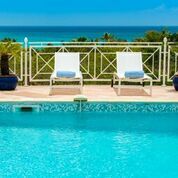 Oh what a delightfully tropical, truly Caribbean experience awaits you at Villa Pinel! This 4 bedroom, 4 bath "Balinese-style" waterfront villa is nestled on the shores of the French Cul de Sac just across the bay from lovely Pinel Island, and 8 minutes to the fun filled “St Tropez” of the Caribbean, Orient Beach! This luxurious contemporary villa is beautifully decorated with high quality furnishings, linens, and accessories through out. 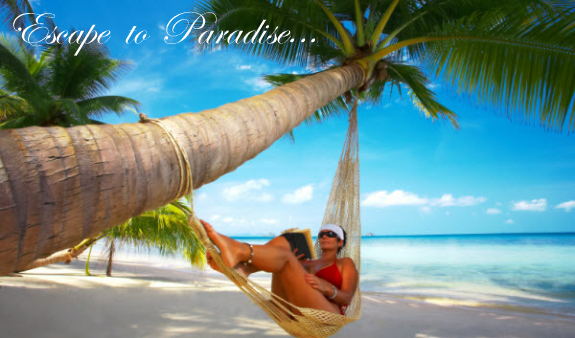 Spacious, peaceful, and very comfortable, you’ll find everything you need and more for a memorable, relaxing vacation! Bring the family or share with 4 couples... there is plenty of space and privacy, mesmerizing views, and a wonderful small semi private beach adorned with a boat dock! This stunning villa offers a modern open floor plan taking advantage of the tropical breezes and breathtaking views of Little Key, Green Key, Orient Bay, Pinel island, and the sea beyond. The living room features comfortable leather seating with a wide flat screen TV (home cinema, cable TV, DVD, CD and stereo, and iPod dock), and opens to a large covered terrace where al fresco dining is enjoyed. The fully equipped state-of-the-art designer kitchen offers a full size refrigerator and freezer, dishwasher, microwave, oven, ceramic glass top stove, Nespresso coffee maker, toaster, blender, a full set of very nice tableware and dinnerware, and lots of cookware and utensils. Just a few steps down from the terrace is a large, beautiful infinity edge pool for your refreshment. Pool toys and floaties await you! There is also a large outdoor living area for lounging, a wooden deck for private sunbathing, and designer patio furniture and sun beds. Everything is set up right next to the waterfront swimming pool overlooking the Caribbean Sea towards Pinel Island. Villa Pinel offers 3 bedrooms and 3 bathrooms on the main level, plus a private, well equipped studio including living area and kitchenette located on a lower level of the villa. Bedroom #1 has a king size bed, very large walk-in closet with dresser, en-suite bath with 2 designer bowl sinks and a large walk-in shower. The bedroom opens to the sun deck with a great view of Pinel island and Orient Bay. This bedroom can be accessed from both, inside the villa (left of the living room) and the front deck. Bedroom #2 has a king size bed, dressing room, a designer en-suite bathroom, large shower. The room can be accessed from inside, left of the living room and has own its private garden patio. Bedroom #3 has a king size bed, dressing, and a designer en-suite bathroom with a shower. The room opens to the deck and sea. Bedroom #4 is a separate studio on the lower level of the property with king size bed, en suite bath, sitting area, kitchenette, and private deck with sea views. * Direct Beach Access and Private Boat Dock. * 3 Air-conditioned Bedrooms with 3 En-suite Designer Bathrooms, PLUS a Separate Studio on the lower level. * Private infinity pool directly on the water’s edge. * Very large gas BBQ grill on the deck. * Private parking next to the villa. * Luxury bath towels, beach towels and fine quality linens provided. * Kayaks (presently 8! 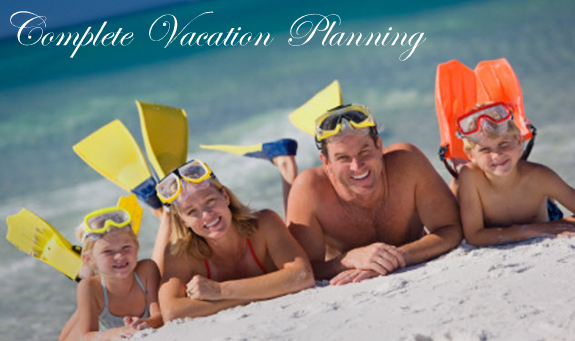 ), snorkeling gear, fishing equipment provided! 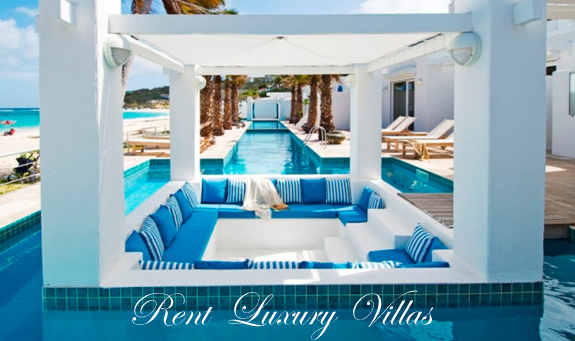 Additional tax and service charges include daily maid service (except Sunday), rental car reservations with airport pick up, 24/7 local assistance while on island, welcome gift, arrangements for chef service, restaurant reservations in high season, island concierge services before and during your stay.